Coconut oil has gained a big following in natural beauty circles in recent years. This oil does have a significant list of benefits including the fact that it is readily available at many natural food stores, affordable, shelf stable, 100% natural and nontoxic, and not environmentally problematic. Books such as The Coconut Oil Miracle tout its extensive health benefits as an immune system support, weight loss aid, digestion and nutrition absorption aid and many other traits. A simple Amazon search pulls up over 10 guides to the benefits of coconut oil including one specifically dedicated to pets and another for oil pulling. I've personally found it to be fantastic for cooking and the flavor of virgin coconut oil makes a delectable popcorn topping for a Saturday evening movie at home. Combine it with a bit of truffle oil, salt, and onion powder and you've got a mouth party like you've never known before. With all those delightful qualities you might be surprised to hear me say that in skincare coconut oil gives extremely mixed results. Coconut oil is used in a starring role for everything from a makeup remover to a general moisturizer, and is frequently one of the first natural oils people experiment with for home recipes and DIY beauty. Unfortunately for very dry skin and acne prone skin the results of coconut oil often skew towards breakouts and increased dryness. This incredibly popular post has been updated and reposted on the Blissoma.com home website blog in two sections. We have added fresh research that can help you figure out how to fix your skin if you think coconut oil may be causing you problems. Post #1: Is Coconut Oil Causing Dry Skin? What You Need to Know. Post#2: Is Coconut Oil Good for Acne? Surprising Info on the Popular Skin Care Ingredient. Thank you so much for all the amazing response we have gotten over the years on this post! Because of your many comments and incredible feedback we knew it was worth the effort to edit and share it in a permanent spot on our home site. We hope you enjoy reading it there. Thank you so much! I enjoy digging for answers. :) And I agree - virgin coconut oil is amazing as a flavor in so many foods. Every botanical has ways it is best used, though. Some are for internal, some for external. Coconut is best for internal use IMHO. Thank you for commenting! I'm one of those people whose facial skin gets dried out by coconut oil (it seems ok on my body, though). My skin is oily, but it also gets dehydrated easily. It responds really well to high oleic oils like marula and avocado. Perilla works well, too! Okay, this is a great article. Thank you. But before I could proceed past the first few paragraphs, I pose the question of expelled processes and methods. I see often the Virgin, Cold Pressed or Expelled Coconut Oil, which would imply no heating of the "meat" to extract, correct? So what is your insight to the many methods of extractions and how this changes the chemical structure of the oil and its benefits? Hi BeautyObsessed! I did a little poking around on a couple supplier pages, specifically for folks that I know would try to offer a cold pressed oil. Mountain Rose Herbs does a lot of explanation of their extraction process. Their process is claiming a max temperature of 100 F, which was the low end of the temperatures I mentioned, and actually I only touched on the lower temperature processing methods above in my writing. 100 F could be a daily ambient temperature in the tropics where coconuts grow, so while that sounds like heat to many of us it is not an abnormally high temperature where coconuts are grown. Heat for coconut oil extraction could get very high without the oil going rancid because of its stable, rancidity-resistant saturated structure. Other websites often claim "cold pressed" but don't specify a temperature. Ideally you should absolutely want to use an oil that is as little changed from the original material as possible. The study I mentioned that showed faster wound healing on was done with virgin coconut oil, and antioxidant content would definitely be damaged by high temperature processing. If you're using coconut oil for skincare definitely only use a truly cold pressed, virgin coconut oil for the best results. Expeller and "cold-pressed" oils wouldn't vary much as both are using pressure. The oil can also be centrifuged out of the pulp, but I'm seeing that even then the oil is generally pressed out first, then centrifuged to finish it, and temperatures quoted for that process are max 118 F.
Because the chemical structure is relatively stable (which is why coconut oil is used for heated cooking) the main chemical changes that would take place with heat would be loss of antioxidants, and possibly some of the very minor unsaturated fats would degrade. A full diagnosis of exact changes would take some more digging for studies that support assertions, but if you're getting an organic, virgin, cold or expeller pressed oil that's the best thing for skincare use. I actually use RMS Beauty's Living Luminizer and several of their Lip2Cheek products and love them. They apply beautifully and you don't have to use much at all to get color on the skin because the pigments are very intense. I do know of some people that have coconut allergies or break out from using them, but if your skin tolerates coconut ok then they'd definitely be worth a try. You don't have to use a whole lot, and the coconut oil is mixed with Castor oil, Beeswax, Shea Butter, and Cocoa Butter which dilute the Coconut oil and the richer oils in there would definitely offset the potential for drying effects from coconut. If you're in doubt then try just 1 of the Lip2Cheek colors and if it doesn't work out as a blush for you then you can always use it as a lip stain. I've been very happy with mine. What oils do you recommend for acne prone, dry skin? We are using a constant application of coconut oil on my daughter's dry eczema skin with little to no results. But now that I have read your article about it potentiality modifying your sebum production, I will search for an alternate solution. Which oils would you recommend for people with dry skin problems? For dry skin I'd highly recommend you try Pomegranate oil or possibly Tamanu. Both of these oils are excellent on broken, damaged skin. Pomegranate has been shown in studies to repair the epidermis and is often highly recommended for conditions like Eczema. Tamanu has antimicrobial properties, is highly moisturizing, mild (generally non allergenic) and also promotes healthy new cell growth. I am absolutely stunned by the wonderful article I've just read. I'm generally a wee bit dubious when reading how some ingredients are magical and wonderful and are made from unicorn's breath and concentrated baby smell (possibly because my background is in clinical trials). Well done. I truly appreciate it! This was the BEST article on CO I've found! My skin tends to be dry and red, and I use CO in the kitchen. I saw a woman recently post a video on Instagram about her skin care regimen, and her skin was just amazingly vibrant. She said her trick is not wearing makeup, and after showering she douses her body in CO. So I was like, well...I'll try it! It worked wonderfully the first two days, and then my skin was like "eh, enough of that." CO sits on the surface of my skin for quite some time, and then once it finally absorbs I feel dry again. So I found myself reapplying the oil multiple times per day. And then there came the pimples. So I'm back on the drawing board, which is what brought me to your article. Trying to figure out why I live in a tropical climate and still have dry skin to begin with, but also trying to find an oil that would keep my skin soft without clogging pores...that won't cost $30 for a tiny bottle. I had high hopes for my $12 jar of CO and I'm in a tiff with my skin for not accepting it lol. Thanks, very much, for this informative article. Hello, Julie. Yes, Thank you , for a very informative article. I was interested to find out why coconut oil seemed to be making my 6 months old babys eczema worse. I noticed in one of the comments about eczema you suggested using pomegranate or tamanu oil ( i also read your article about tamanu oil). To be honest i hadnt heard about it till now. My babys eczema seems to be getting worse so i would like to find a moisturising natural oil or product that would actually help. Could you please advise me if this tamanu oil could be also used on baby delicate skin or is there any other natural oil to try that wont dry her skin more and make it worse? And what type of oil is it- virgin, cold pressed? Please, i would really be grateful if you had an advice for me. Thank you. Wow, I thought I was nuts for thinking that coconut oil was drying out my face (never associated oil with dryness I mean oil isn't dry) so I decided to do a little research and came across your article. I'm so happy I did. Thank you for all this amazing information. Now I know what to use instead. Coconut oil is amazing on my skin just not my face. Thanks again. I have just launched an E-Booklet on my home site, Blissoma.com which you can get for free if you join the Blissoma email list. It is also available for purchase. I hope it helps! Thank you for reading, and I hope you get relief. Baby oil turns my skin blotchy red. I recently learned my skin reacts the same way to coconut oil. Any idea why my skin reacts this way to oils? I have used coconut oil as a moisturizer and it made me itchy and it only got worse. Curious what else to use. My skin is pretty finnicky. I was interested to learn that arginine is not carried forward into the oil during the process when the oil is extracted from the coconut. Coconut 'meat' is high in arginine, an amino acid that exacerbates herpes and therefore contraindicated for people prone to cold sores. I discovered the ill effects of a high arginine diet quite unpleasantly a few years ago when I contracted the worst cold sore of my life after adding fresh coconut to my diet as a snack for a couple of weeks or so. As a result and learning the high arginine content in coconut, I started avoiding coconut oil in my diet as well. Unfortunately I did not extend my research to learn that amino acids do not exist in oils. Thank you making me think about this again so that I would extend my research a little more, which I did after reading your blog post. Hi Elgin! It sounds like you may have an allergy, but hard to know without seeing it or talking more. For the baby oil, it could potentially be an undeclared ingredient or lingering contamination, or just that your skin doesn't like occlusive things. Coconut oil can be clogging for some people. Have you tried other oils with similar result? There are so many botanical oils out there to try these days and some others might give a different result. 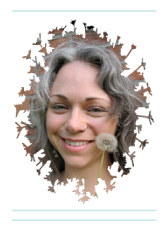 And Lori Kingen-Gardner there are a pretty good range of other botanical oils that might suit you. I do make several oil serums through our Blissoma brand that could be options. The ingredients in these are things like Evening Primrose oil, Grapeseed oil, Cranberry seed oil, Red Raspberry seed oil, Tamanu oil, Hemp seed oil, Rosehip seed oil, Watermelon seed oil, etc. Hope you find something that helps you! I have a photo to show my skin, can I post it here or is there anywhere else I can send it? My skin is oily but dehydrated (my skin doesn't seem to get the oil slick anymore after a week of oil cleansing though), I drink lots of water and have smothered my skin in hydration serums for the last 4 months to no avail. I found a website that recommends oil cleansing, so I tried that. Cold pressed virgin olive oil and caster oil and my skin is getting worse. I am 29 and I have fine lines all over my forehead and cheeks, no exaggeration, people in there 40's have better skin than I. I am absolutely gutted as I am surrounded by natural beauties and no matter what I do, my skin just doesn't seem to take anything in. I am back to natural face washes and rosehip oil Trilogy and Trilogy hydration moisturiser morning and night. I will rush to the shops and buy Avocado oil and Marula oil this eve. I have changed my diet dramatically over the last year, now vegetarian, high fats, lots of fruit and veg. I put coconut oil on my face once, last week. I get a pimple or two at "that time of the month" but generally have great skin and have been very lucky to never have any issues. Until now! I am starting to get what looks border line like a rash / a lot of little pimples. Is the coconut oil the issue?? I have done nothing else differently! For years I've done research on natural hair's products and acne cleansers. A friend of mine recommended I try coconut oil for my hair. One night, I decided to do so. I washed my hair, added a tiny bit of coconut oil to my hair. When I woke, the sides of my face were in undeniable pain. I had at least 3 or 4 pimples on both sides. Yikes. I generally breakout around my chin area (so sad), but this time I was breaking out everywhere. What a disater. I'm vegan and eat as healthy as possible just to keep my skin clean and clear. 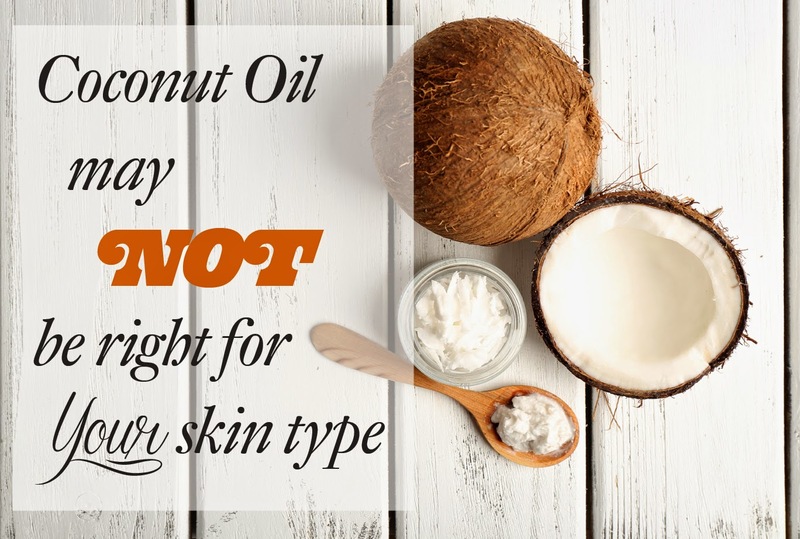 As much as people recommend coconut oil being wonderful for about anything, I can say, it depends on your skin type 100%. I don't think I will ever use coconut oil again. I was very happy to find this blog because I thought I must be nuts (no pun intended) - coconut oil was making my skin feel drier, much drier! It works miracles on my feet, but my hands, arms and legs would end up feeling like sandpaper. I know a lot of people have problems with the use of petroleum jelly but nothing moisturizes my hands and arms like creamy petroleum jelly (Vaseline brand, not the cheap ones). People say it ends up feeling too greasy but that's something I need since a thyroid condition causes my skin to be severely dry. I also use a little bit of coconut oil in the ends of my hair to keep it from getting frizzy and it works great there, too. So I guess I'll continue to use coconut oil for my hair, feet, and as part of a scrub along with kosher salt or sugar to exfoliate my hands & arms. But as an everyday moisturizer it's just not for me. Very insightful article...so what other oils do you recommend for acne probe skin? I tried non gmo organic coconut oil on my face, because I ran out of my usual moisturizer. Lets just say it didn't go very well. I put a small amount on after washing my face before bed, woke up and i had small bumps all over my face. Plus it was severely dry/chapped. It was awful for me. I didn't think my skin was that acne prone and sensitive. Guess I was wrong.. So i wouldn't recommend it to anyone with a similar skin type. Imcreased dry skin happens to me when I apply coconut oil. Also makes my skin inch a couple hours after I apply and makes my lips actually more dry and chapped. ***How would avocado oil be tolerated for dry facial skin? Thank you for such a comprehensive and well-researched article on coconut oil.. My granddaughter is from Ethiopia and her skin needs a lot of hydration. Coconut oil has worked well for her body and hair. However she does not like us to use it anywhere near her face, and uses towels to keep it off her forehead when it is being applied to her hair. However, her face also needs hydration and sometimes we try to use the coconut oil on it because it soaks in so nicely, but she reacts strongly to it on her face and needs to wash it off immediately. She is 7 and cannot seem to describe what is bothering her so much but the reaction seems genuine. Can this be due to some of the effects you mentioned? And do you have a recommendation for another face product? She likes a spray rose water but I don't think it really moisturizes that well. Thank you. I recently broke out in hives all over my body. I think the coconut oil caused this. Only reason I suspect it, is the same thing happened to me a year ago during my pregnancy, I would slather on coconut oil to prevent stretch marks and I ended up breaking out with itchy red bumps all over. I don't know if this is unheard of? Because when I went to doctor I really didn't know what caused my hives nor did my doctor. She said it might be scabies and prescribed a cream. But I am the only one with outbreak issue. Starting to doubt the scabies diagnosis. I applied coconut oil over the dyshidrotic-eczema on my hands, and the next day, there was a severe infection/inflammation, which terrified me. I had so much faith in co until I experienced its negative effects for myself (same goes for acv). Lesson learnt - there is no miracle balm that is one size fits all. Stumbled upon this thread when debating whether or not to stop applying oil to my facial skin for moisturizer, as opposed to conventional creams. Just wanted to point out that coconut oil does moisturize my legs really well after a shave and doesn't leave oily residue, stains on clothes, etc. But I only use liquid coconut oil, otherwise too messy/difficult to apply. But it doesn't work as well at moisturizing super-dry winter hands, I've noticed. Thank you for the answer I was looking for. Unfortunately, I am one of those individuals that can not use coconut oil on my face. On my body is ok. I have oily facial skin, however, the coconut oil did great the first 3 nights, but after that, I noticed they my face was no longer oily, it was dry, it actually looks like I have had an acid peel or something, The skin on my face looks like leather, the skin over my high cheek bones looks like I have chemical burns and the skin is very dry, did not even need to wear blush, my cheekbones are very red. I am going to stop using it, and go back to my original routine, products from Estée Lauder. The thing is it worked great the first couple of times and absorbed rapidly, the last night I put it on my face, it just sat there because it had dried my face out to the point where absorption of anything was impossible. So thank you for the wonderful explanations as to shy this has happened, now I can resolve this problem. It has worried me, because I couldn't imagine how an oil could actually cause this to happen. You are wonderful. I really appreciate this article !! Very matter of fact without bias - very rare to come across! Thanks so much !! Unfortunately coconut oil is a NO go for my normal to dry skin. It did okay on my face but I kept having reoccurring breakouts similar to roscesa on the tip of my nose. Very red raised inflamed itchy bumps filled with white puss. I have a lot of makeup primers filled with coconut oil too and it just Irritated my nose. What oil would you recommend to heal the mess created on my nose? I am so glad to find in this article, WHY my body parts are so itchy after I "moisturize" it with coconut oil although my face still "tolerating" it. I even thought that I should use the coconut oil before my shower but even though still itching like I never had before. Bye-bye coconut oil. Coming back to my old stuff.Oh my God reading this made me so happy. Thanks a lot. As soon as i apply it, my face becomes itchy, and has become very dry too, not to mention about the cluster of small breakouts over my forehead. What would you recommend to moisturise a dry, and a bit irritable skin?? Thanks for the article!! I wonr be using CO anymore. Fantastic article and very well researched. I had used coconut oil and got dry skin which I attributed to a face mask I used around the same time. Tried using Co again last night and noticed my skin was tight and dry this morning so it must be the CO. So much hype about Co but it does not suit every skin type. Thank you so much for clearing my confusion. When I first used coconut oil my skin became dry and itchy but I thought it was a face mask I used around the same time that caused the dryness. Yesterday I tried Co again and my skin is dry and tight today. Despite all the loud hype Co is not for everyone! Thank Julie for the amazing and well-researched article on coconut oil. I have used coconut oil many times for hair care, skin treatment. But understanding its benefits in detail is not. This article has opened my eyes. ~ Katy. Loved this ! Really interesting, can you recommend an oil for people who have a bad reaction to it? Completely dried me out! I don’t have acne but my skin needed something as it looked tired and dull. Upt the water, bed and sleep. Is there any oils you’d suggest to try instead? I normally don’t have problem skin but started using coconut oil �� �� just because I read so many great articles about how it helps keep your face from wrinkles, etc. Now my skin is super dry and irritated! I found it odd that the oil that so many articles say to use for dryness was causing my skin to in fact be dry!! Thank you for clarifying. I was just checking about hemp oil but on this blog post I have seen many new things or verities of oils and details of these. Thanks for sharing such a informative post with us. Julie, you are awesome! i love your article, i also applied coconut oil to my beard to test it before i put it in my beard butter and it gave me some itchiness!, Will the results be the same if i mix it with shea butter and other carrier oils or it's better to ditch it? I have been using coconut oil for several weeks. I have noticed my lips extremely chapped for about 2 weeks now and the inside of my mouth feels really weird lime there is a film. I brush constantly to get rid of it. Is it caused by the coconut oil?